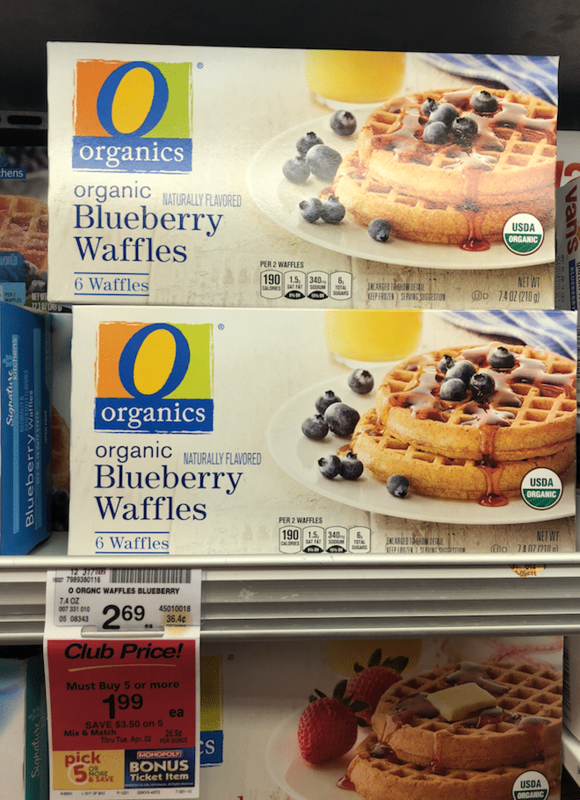 The savings stars have aligned with this hot deal on O Organics Organic Waffles at Safeway. 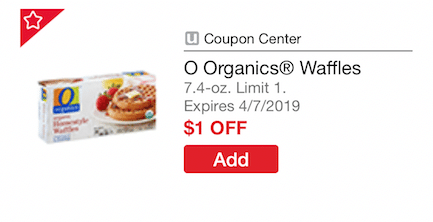 There are about 30 or so O Organics and Signature Brand products that have been included in the Pick 5 or more and save promotions throughout the month of March, including the O Organics Waffles. The 6 ct. waffles are on sale for $1.99 when you buy 5 or more participating red tag items through April 2nd. 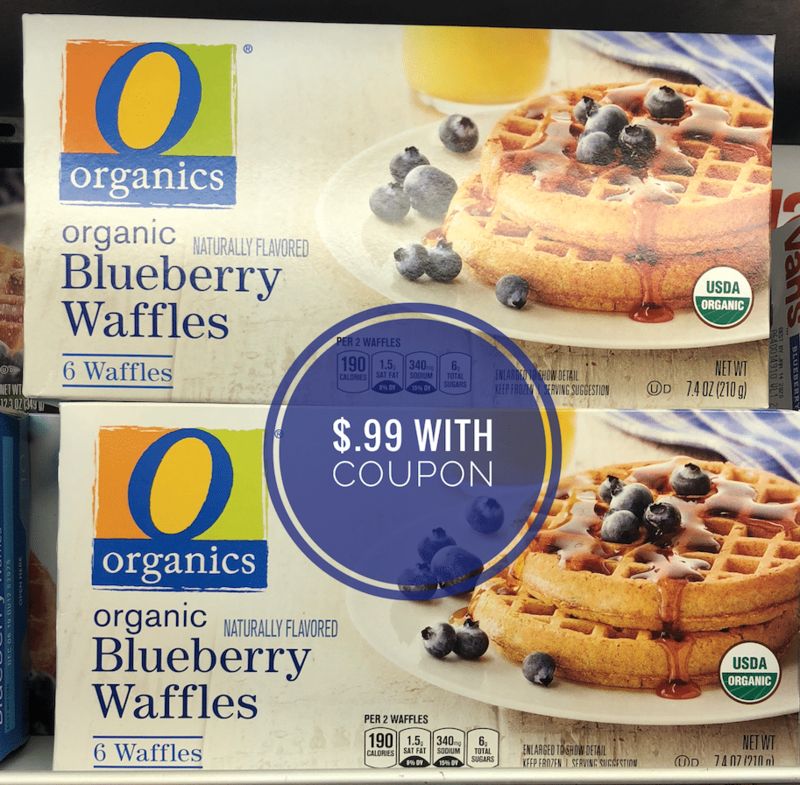 Pair the sale with a new Just for U Digital coupon for $1.00 off 1 O Organics Waffles and you’ll pay just $.99 each! These are normally $2.69, but with the sale and coupon, you’ll save 63%. Choose from original waffles or blueberry waffles. My kiddos love the blueberry waffles, as do I. See the additional O Organics Items included in the Pick 5 or More Sale here.